Receive the warm welcome on arrival at Bagdogra Airport or New Jalpaiguri Railway station where one of our representatives will receive you and help you to get transferred to Gangtok which is 155 Km from it. The beautiful capital of Sikkim is situated at an altitude of 5500 ft is renowned for its beautiful landscape, Buddhist monasteries and Gompas. Upon arrival, check into the pre-booked hotel and enjoy rest of the day at leisure activities with dinner and overnight stay at the hotel. On the 2nd morning of your Darjeeling Gangtok Pelling tour package start your day trip to Tsomgo Lake which is situated at a distance of 38 K from Gangtok. It is also known as Changu Lake and is a glacier lake situated at an altitude of 12,310 feet is among the few high altitude lakes in India. It is considered sacred by the locals. Visitors can also visit a small temple dedicated to Lord Shiva on the lake side. After enjoying the panoramic beauty of the lake drive further 12 Km from the lake to reach the Baba Harbhajan Singh Memorial Mandir dedicated to brave Indian Army soldier. Return back to the hotel for dinner and overnight stay. •Any Indian Nationality visiting Sikkim is required to carry a Photo ID Proof (Voter ID / Passport / Driving License – with address) in order to obtain Tsomgo Lake permit for the above. •Non Indian Passport holders are not allowed to visit Baba Mandir. Post breakfast proceed towards Pemeyangtse which is situated at a distance of 122.6 Km from Gangtok. It is a very small Himalayan village in West Sikkim and is quite famous for Pemeyangtse Monastry which is the second oldest monastery of Sikkim and the headquarters of the Nyingmapa order of the Tibetan Buddhism. Upon arrival, check into the pre-booked hotel and enjoy rest of the day at leisure activities or exploring the beautiful surroundings. After Delicious breakfast start the half day sightseeing tour in and around the Pemeyangtse. The visitors who are coming to Pemeyangtse make it a point to visit Pemeyangtse monastery which is the main center for the Nyingamapa Sect. Then visit the Sangacholing Monastery which is among the largest monasteries of the state. After some rest visit the Rimbi Falls, sacred Khecheopalri Lake, Robdentse Ruins and Darap Village. Evening is free to indulge in leisure activities with dinner and overnight stay at the hotel. Today morning post breakfast leave the hotel and proceed towards Darjeeling which is located at a distance of 67 Km from Pemayangtse. Darjeeling is one of the most visited hill station of the country located in the foothills of the mighty Himalayas in the state of West Bengal. Darjeeling Himalayan Railways, exotic flavours of tea and imprints of Victorian age will surely mesmerize you with its beauty and charm. Upon arrival, check into the pre-booked hotel and take some rest. Later on visit the Padmaja Naidu Himalayan Zoological Park, Singalila National Park, Batasia Loop etc. Return back to the hotel for dinner and overnight stay. Post breakfast embark on the sightseeing tour of Darjeeling. Start your day with the most famous attraction of Darjeeling with a journey between Darjeeling to Jalpaiguri. It is declared as the World Heritage site by the UNESCO. Visit the Tiger Hill, the most famous peak which is known as a trekking destination and offer marvellous views of Kanchenjunga and monolithic Mt. Everest. 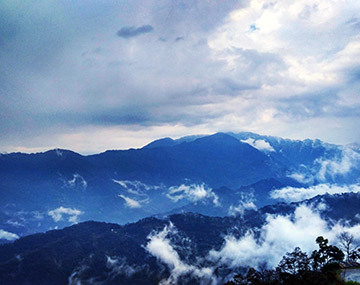 Also, visit the Observatory Hill located near Chowrarasta Square to capture the glimpses of Kanchenjunga and to visit the ancient temple of Lord Shiva. Don’t miss a visit to Happy Valley Tea Estate which is among the major tourist attractions of Darjeeling. Return back to the hotel for dinner and overnight stay. On the last day of your tour package to North East India check out from the hotel post breakfast then proceed towards Bagdogra Airport to board a flight for the return journey. If you want to plan a trip to enjoy the abundance of natural beauty flourished with an abundance of exotic flora and fauna then North East region of the country surely mesmerize you. Known as seven sisters each state of North East is magically beautiful and enriched with rich cultural heritage. Book your North East India tour package now and lose yourself in its charismatic magic that will surely leave you spellbound. BooOtrip offers you the best travel solution not only for your personal travel but it also works on your professional travel needs as well. We not only offer amazing options for holiday packages to the most exotic destinations but prices we offer are also brilliant and you will not find yourself complain about any of it at all. Arrival & Departure transfers by exclusive non-A/c Tata Sumo or similar vehicle. (Ex. NJP/IXB). Please note that the tourism infrastructure in Sikkim & Darjeeling Hills region is not very advanced and the client should not expect the Facilities / Amenities / Luxuries normally available in the metro cities or any other developed tourist destination such as Kerala, Rajasthan or Himachal. The check In/Out time is 12PM noon in all the hotels of Sikkim & Darjeeling Hills. It’s not possible to provide a single vehicle for the entire trip in Darjeeling, Gangtok & Pemayangtse due to some unwritten rules by the locals, therefore all the above transfers and sightseeing will be on point to point basis and in most of the cases we will keep replacing the vehicle with a similar one. Upon arrival at Airport / Railway Station, all guests are greeted and welcomed by our trained, equipped and professional representative who gives a briefing about the tour and regularly stay-in-touch with the guest until the tour ends. Look for our representative holding placard of your name. In Bagdogra Airport our representative will be standing outside the Exit Gate. There are 02 exit gates in NJP Railway station and the client should be requested to come to the Old/Main Exit Gate near the Ticket Counters to meet our representative. Transfer from NJP/ Bagdogra are provided from 0600Hrs to 1600Hrs, so please ensure that the Air/Rail Tickets are booked and correspond to the above timings as any of the above destinations from/to NJP / Bagdogra is around 2.5 to 5Hrs drive in the hilly road and the condition of which is not safe to drive without the sufficient day light, therefore we do not operate or recommend any airport or railway station transfers between1600Hrs to 0600Hrs.